The most neglected trig pillar in Ireland? 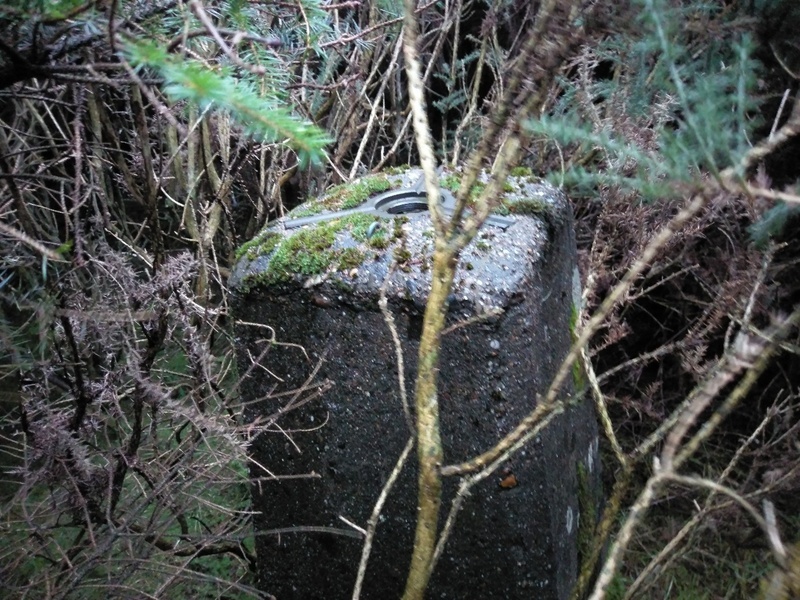 I ventured up Barranisky yesterday, 20 December, more in hope than expectation of finding the summit trig pillar amongst the out-of-controI vegetation. I used the helpful Coillte trail map at https://www.coillte.ie/media/2017/01/Wicklow-Ballymoyle-Hill.pdf. This brought me up a decent quality forest road with intermittent cracking views, notably overlooking the M11 motorway and the nearby coastline and sea, and found easily enough the small track through the trees mentioned by Wicklore. I left my backpack on the road at the track entrance and donned protective overtrousers and an old windcheater before venturing into the thick vegetation. I was glad of them. It took me a while scrambling around in the vicinity of the summit before I stumbled upon the almost totally hidden trig pillar which is now dominated on all sides by tall bushes.